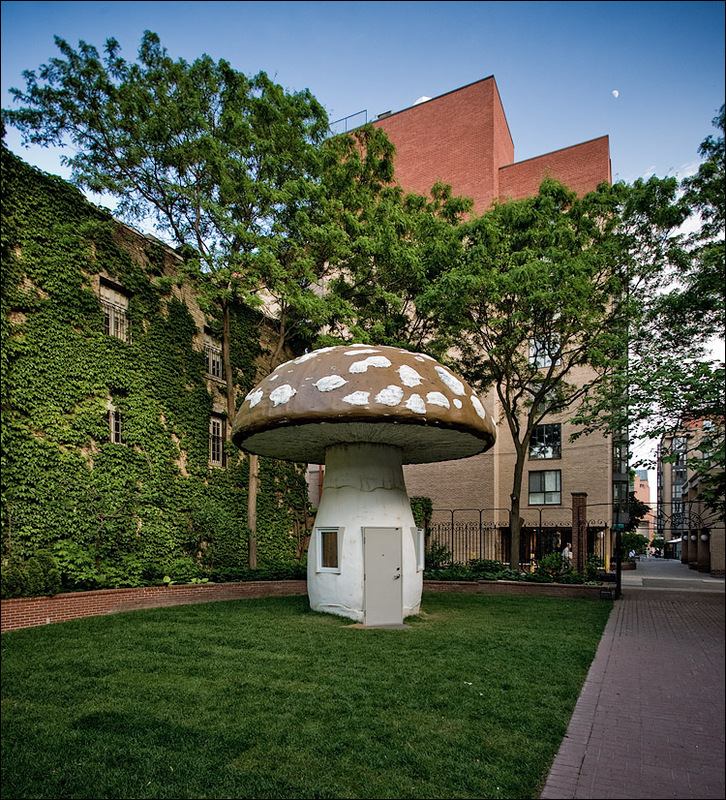 From museums to parks to college campuses, sculpture gardens are as popular as ever. The sculpture garden encapsulates the relationship between human and landscape – a place where art, man, and nature intertwine. From a giant eyeball in St. Louis, MO to monumental animals sculpted from English boxwood, this inherent human need to cooperate and create with nature spans time and place. The following 25 sculpture gardens were chosen for their variety and popularity. Many of these gardens are lesser known, some were hand crafted by a single artist, and some are affiliated with universities and museums. All were chosen for their capacity to interact with and complement the surrounding landscape. Purchased in 1872 by Thomas E. Brayton as a summer estate, and currently maintained by The Preservation Society of Newport County in Portsmouth, RI, Green Animals Topiary Garden is one of the United States' most unique sculpture gardens. 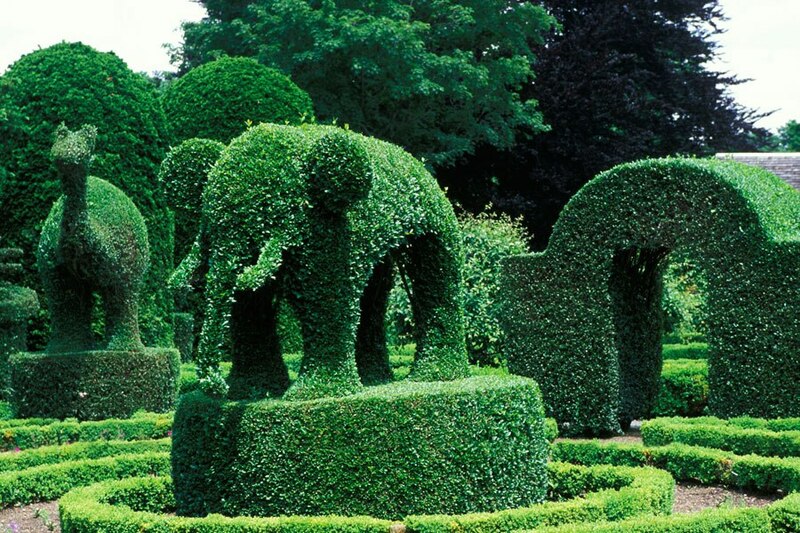 Giant bears, camels, and giraffes, hand-trimmed from English boxwood and California privet, line pathways adorned with fruit trees, vegetable and herb gardens overlooking Narragansett Bay. Gardener Joseph Carreiro began creating the topiaries for the estate in 1912, and was later joined by his son-in-law George Mendonca. Each sculpture often takes years, or even decades to form and maintain, creating an environment of living sculpture that transforms with the seasons. Located in Oslo, Norway, just southeast of the city's center, in the neighborhood of Ekberg, is the Ekebergparken Sculpture Park. Inaugurated in 2013, and with plans to expand the park's collection in 2015, this sculpture garden currently houses nearly 30 pieces. 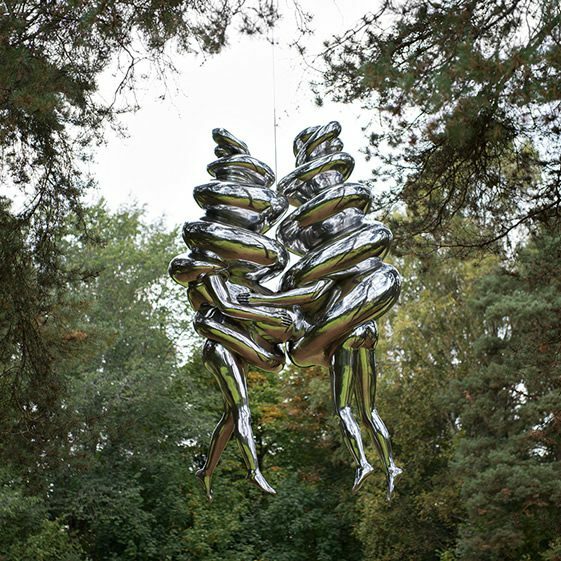 The park's wooded grounds are home to Louise Bourgeouis' The Couple, an aluminum hanging sculpture from 2003, as well as Salvador Dali's Venus de Milo aux tiroirs. Financed by art collector Christian Ringes, and owned by the city of Oslo, this park offers an exciting showcase of modern and contemporary sculpture within a beautiful forested setting, as well as breathtaking panoramic views of the city of Oslo. Located on five acres of the UCLA campus, the Franklin D. Murphy Sculpture Garden is one of the nation's most thorough collections of modern and contemporary outdoor sculpture. Named for UCLA's third chancellor, and founded in 1967, the park contains work by some of the world's most influential artists including Jean Arp, Barbara Hepworth, and Alexander Calder. Landscape architect Ralph Cornell translated Murphy's vision into a park with a formal paved plaza, rolling green spaces, and a number of Southern California's favorite plants and trees. 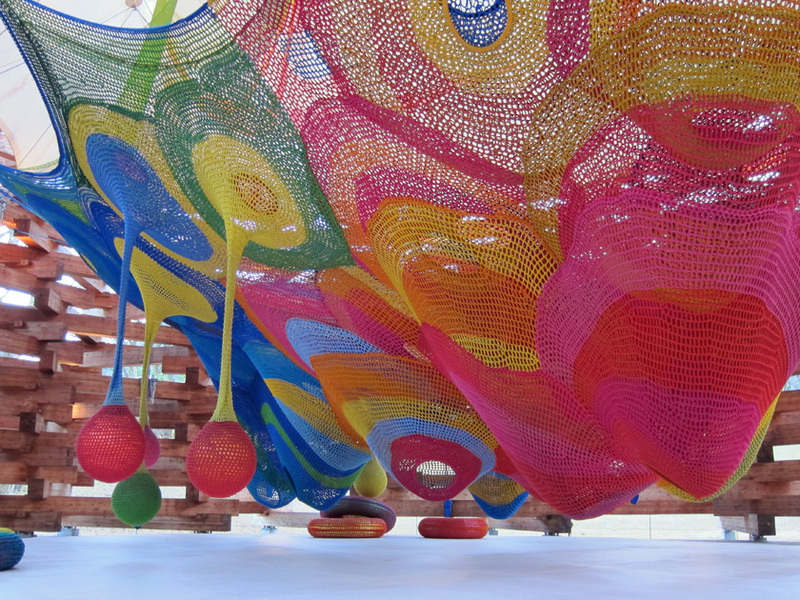 Dotted with abstract and figurative sculpture, the garden was inspired by Murphy's travels to Europe. Opened in 1981 in downtown Toronto, the Toronto Sculpture Garden is home to a regular rotating collection of outdoor sculpture. Located across the street from St. James Cathedral, this sculpture garden has provided many emerging and established artists with the opportunity to work outdoors. Toronto-based artists Susan Schelle and Yvonne Singer have both had works displayed at the garden, and with temporary exhibitions changing regularly, this sculpture garden always has something new and original to offer visitors. 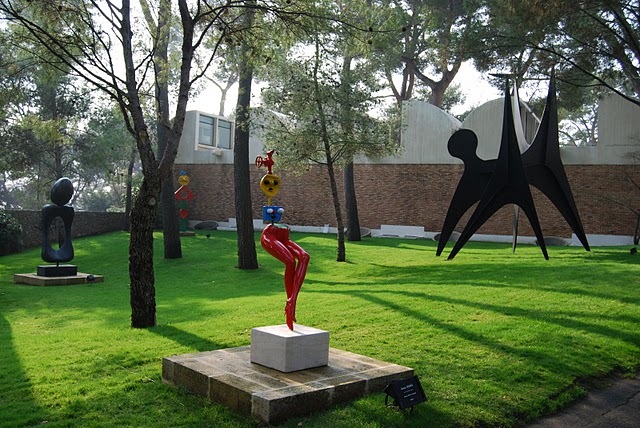 Created during the 1960s by the Maeght family and Spanish artist Joan Miro, the Fondation Maeght is located at the top of a hill in St. Paul de Vence, France, just a few miles from the Mediterranean Coast. Outdoor sculptures created by contemporary and modern masters line the entrance to the museum. Miro and his modernist contemporaries including Alberto Giacometti and Alexander Calder have a number of works that fill the foundation's interior courtyard. Light and airy, the open courtyard, part of the structure built by Spanish architect Josep Lluis Sert is an intriguing piece within itself, and is home to Miro's famous Labyrinth. Created between 1956 and 1980 by visionary artist and postman Jeff McKissack, The Orange Show is one of the region's most interesting and whimsical attractions. Located in an east Houston, TX suburb, McKissack began building the space with found objects including bricks, tiles, and fencing. Both inspirational as well a testament to the tenacity of McKissack himself, patrons of The Orange Show have worked diligently to preserve the park and educate visitors about the importance of folk art. McKissack was neither classically trained as an artist nor was he educated about art history; he simply wanted to create a monument to his favorite fruit, the orange. Budapest, Hungary is the home of Memento Park, an open-air museum dedicated to the memory of Hungary's Communist Period from 1949-1989. 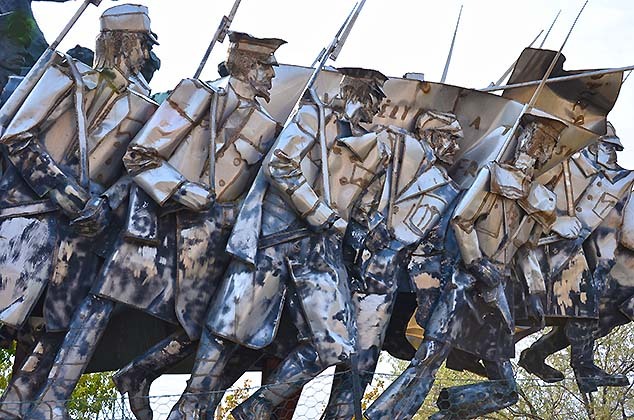 Envisioned by Akos Eleod, who won a competition to design the park in 1991, the park is filled with a number of large-scale figurative works that hearken back to the Cold War. A sculpture of Lenin, by Patzay Pal, and those of Karl Marx and Freidrich Engels, by Segesdi Gyorgy, alsong with various other works, were removed from several of the country's cities and towns after the fall of Communism in 1989. Memento Park serves as a reminder of Hungary's past within the bounds of a now-thriving democracy. Known for his expressive figurative bronze sculptures, Auguste Rodin is considered by many art historians to be one of the originators of modern sculpture. His work can be seen throughout the world, including the Musee Rodin in Paris, France. The Hotel Biron and its grounds were once used by Rodin as his workshop, and subsequently have become a treasure trove of Rodin's most famous works. Placing sculpture around the gardens beginning in 1908, visitors can see how Rodin intended each piece to interact with the natural landscape. Nearly a century later, guests can view such famous bronze beauties as The Thinker and The Gates of Hell, alongside neatly manicured rose gardens and hedge-lined pathways. 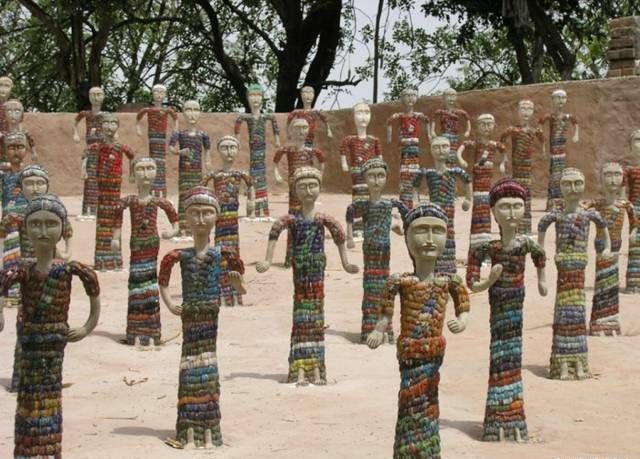 Indian governmental official Nek Chand began building this 40-acre sculpture garden in 1957. Created from found objects and discarded materials, Nek Chand's Rock Garden is filled with whimsical concrete figures, waterfalls, and interlocking pathways to delight and amuse visitors. A true artist, Chand's sculpture garden, which he built illegally on government land, was nearly destroyed in 1975. Currently, the garden, run by the Nek Chand Foundation, has nearly 5,000 visitors daily. 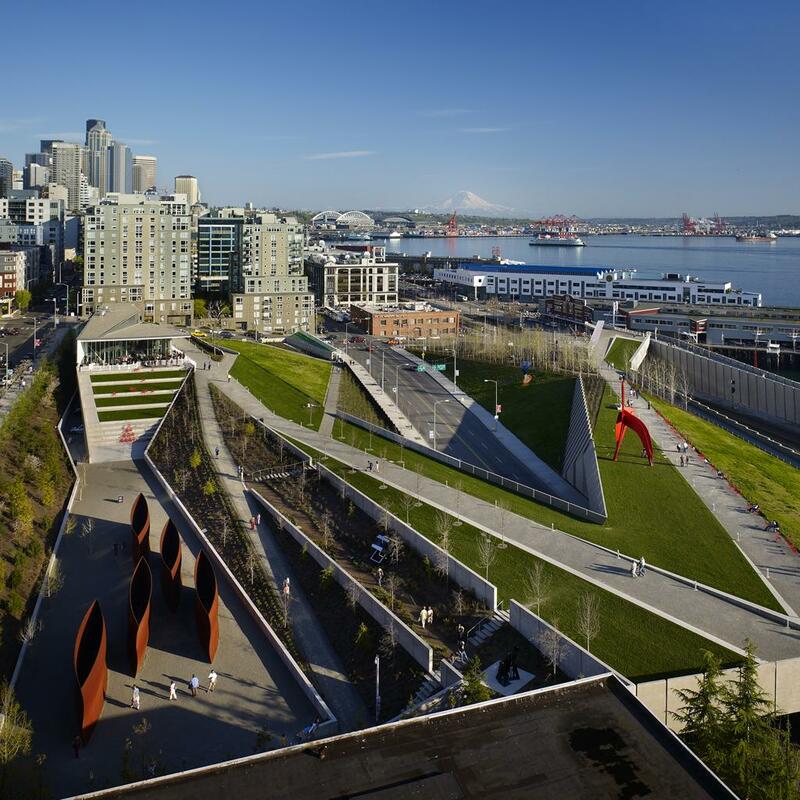 Seattle's Olympic Sculpture Park sits on a former contaminated industrial site, and is currently one of the city's only green spaces downtown. This 9-acre park, opened in 2007, is the home of a number of large-scale sculptures and sits along the northern end of Seattle's seawall with views of Puget Sound. Richard Serra's Wake, two weathered steel arcs that cover 125 feet, can be walked through by visitors on their way to the Melinda and Bill Gates Amphitheater. 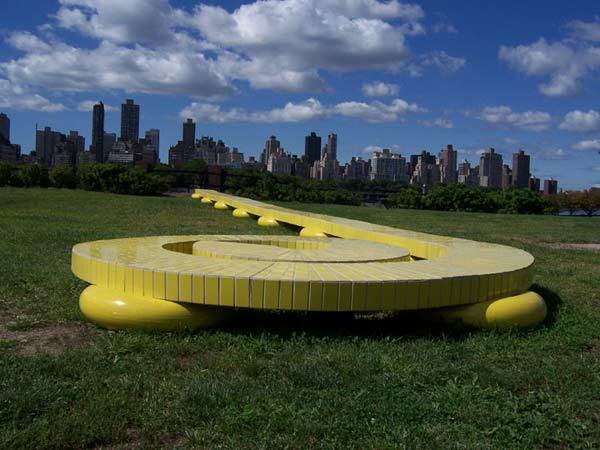 Started in 1986 by sculptor Mark di Suvero and a small group of artists, Socrates Sculpture Park is the home of New York City's largest outdoor sculpture exhibition space. The park was given part of a 20 million dollar grant that many of the city's arts and sciences organizations received, and the park is home to a summer farmer's market and a variety of programs meant to educate and engage visitors and local residents. Di Suvero is known for his monumental steel and wood sculptures, and is one of the first artists known to have used a construction crane in his process. Walking in the forests of the seaside town of Juodkrante, visitors may come across large hand-carved wooden statues lining the forest's paths. Witches and goblins, carved by local Lithuanian folk artists to celebrate the Festival of St. John, have been standing since 1979. Representing many of the folk legends of Lithuania, the site of the Hill of Witches was once the location of this small resort town's Midsummer Night's Eve celebration. Opened in 1969 as Japan's first open-air museum, the Hakone Open-Air Museum is the home of over 1000 sculptures, five exhibition halls, and 17 pristinely sculpted acres near Fuji-Hakone-Izu National Park. With a collection housing nearly 300 works by Picasso alone, this open-air museum has a number of works by some of the world's finest modern and contemporary masters. Swedish-American artist Carl Milles and French artist Nikki de Saint Phalle both have work in the museum's permanent collection. Visionary artist Kenny Hill, who spent his life working as a bricklayer, began building giant figurative sculptures out of concrete at his home along the bayou in Chauvin, LA. The statues, constructed with wire frames welded by one of Hill's neighbors, represent a number of religious icons and figures including cowboys and angels. Their expressive, bright, Cajun-inspired colors and a 45-foot tall lighthouse fill the garden. Currently affiliated with the Nicholls State Univeristy, Kenny Hill Sculpture Garden contains nearly 7,000 bricks and 100 religious concrete sculptures. 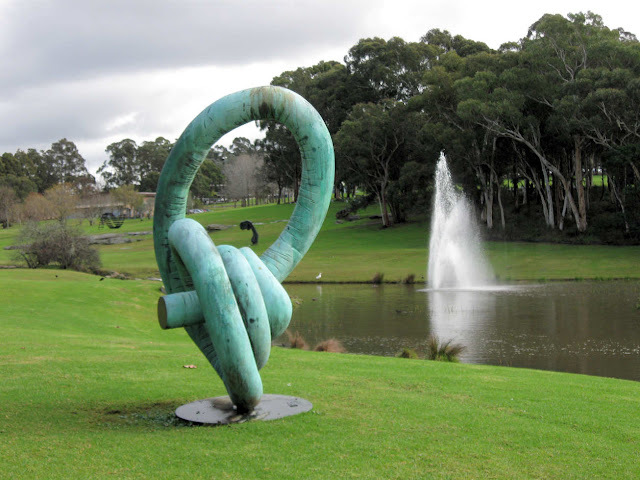 Sydney, Australia is home to the Macquarie University Sculpture Park which features over 100 sculptures created by both Australian and international contemporary artists. The park is one of the largest of its kind in Australia and was established in 1992 by Dr. Errol Bruce Davis. The sculpture park is home to Paul Hopmeier's Confidence, a welded and painted steel sculpture, as well as Andrew Rogers' Labile. Designed by George Booth in the early 1900s, and a jewel of the Detroit Metropolitan Area, the Cranbrook House and Gardens and the grounds of the Cranbrook Educational Community comprise walking trails, reflecting pools, pond, herb gardens, and a number of outdoor sculptural works by Carl Milles, Jun Kaneko, and Mark di Suvero. The Cranbrook Art Museum entrance contains Milles' enormous Orpheus Fountain, and as one of the nation's largest contemporary art collections, the grounds of Cranbrook are lined with hidden treasures, both sculptural and natural. The Nathan Manilow Sculpture Park in University Park, IL is home to Chicago's leading park of outdoor contemporary sculpture. Named for Nathan Manilow, one of the area's early developers, the park is home to 29 pieces of sculpture spread across nearly 100 acres. The collection includes Jerry Peart's Falling Meteor, made from welded and painted aluminum, as well as a number of pieces from local Chicago area artists and artists from France and Mexico. 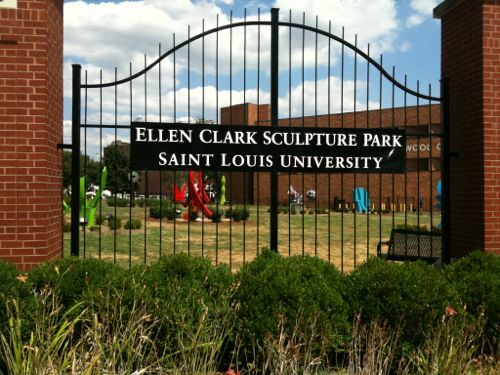 The former site of a fast food restaurant on the edge of St. Louis University, the Ellen Clark Sculpture Park pays homage to contemporary sculpture as well as the president of the university's love of dogs. This unique sculpture/dog park is filled regularly with the neighborhood's four-legged friends and their owners and is the home of a number of Modernist sculptures created by Brother Mel Meyer. The sculptures act as benches throughout the park, and combine form and function, creating a space for humans and animals alike. Built in 1552 by Italian architect Pirro Ligorio, the Sacro Brosco, known as the Park of Monsters, incorporates elements of mythology and symbolism to create a masterpiece of Mannerist sculpture. Mythological creatures are carved into the site's bedrock, and statues of bears and dragons span the landscape. Intended to astonish and amaze, the sculptures contained within the park appear, with centuries of weather and time, to emerge naturally from the grounds. Boston businessman, Julian deCordova, had an expansive collection of art that, upon his death in 1945 was donated to the town of Lincoln, MA. A museum, built on a swath of land also donated by deCordova, was established in 1948, and is the home of the 35-acre de Cordova Sculpture Park and nearly 60 outdoor sculptures and installations by modern and contemporary artists, all with ties to New England. Ron Rudniki's Rain Gates have be placed in front of the museum shop, and steel and soil sculptures by Bob Boemig can be found on the museum's grounds. Bronze statues of the Lorax and the Cat in the Hat sit in Springfield, MA's famous Quadrangle to honor the memory of Dr. Seuss. Theodor Seuss Geisel, one of the world's most renowned children's authors and illustrators was born in Springfield in 1904. The Dr. Suess Memorial Sculpture Garden is the home of a number of bronze statues of Dr. Seuss and his characters. The garden's life-size bronze figures were created by Lark Grey Dimond-Cates, Seuss' stepdaughter. Artparks Sculpture Park, located on the grounds of Sausmarez Manor on the Channel Islands, is home to over 200 contemporary sculptures by artists from the UK and around the world. The site itself is rich in history, was once the home of Philip Sausmarez, known for sailing the globe nearly 20 years before Captain Cook. The park, opened in 1998, has a rotating collection that changes every year and is celebrated with an inaugural celebration in early summer. Dawn Benson's famous Hopes and Dreams bronze sculpture of a child on a horse, sits along more abstract works like Alan Card's stainless steel Moonbeam. Founded in 1968 with a grant from former resident Matilda Laumeier, the Laumeier Sculpture Park has since won a number of grants from the Institute of Museum and Library Services and the National Endowment for the Arts. Located near St. Louis, the sculpture park covers nearly 105 acres, and includes an original 1816-era Tudor style stone home that was on the property and had once been inhabited by Mrs. Laumeier and her husband. 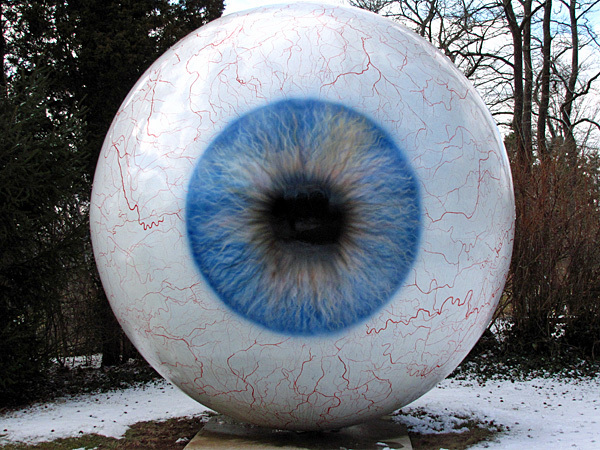 Walking trails and an indoor gallery share the site with nearly 60 sculptures, including Tony Tassett's 2007 Eye, a giant blue fiberglass eyeball that sits looming over the landscape. Located just south of the Art Institute of Chicago's main building in the South Stanley McCormick Memorial Court, Lorado Taft's Fountain of the Great Lakes sits against a backdrop of ivy-covered hemlock. Five bronze female figures intertwine to represent the five Great Lakes that function as the natural focal point of the Midwestern United States. The South McCormick Court, which features the sculpture, was designed by Dan Kiley and is surrounded by pools, sculpture, and footpaths. 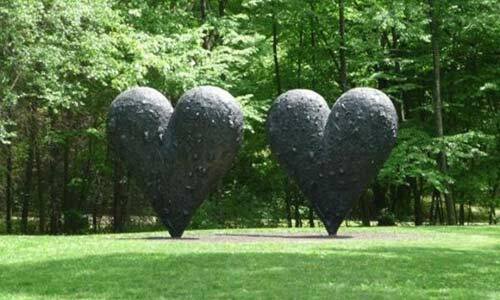 Perhaps the crown jewel of the contemporary sculpture garden, Mountainville, NY's Storm King Arts Center is one of the world's most important venues to view contemporary sculpture. Situated near Storm King Mountain, the center was purchased by Ralph E. Ogden in 1958, and opened as a sculpture garden and arts education center in 1960. Visitors can enjoy the grounds via bicycle, tram or foot, and the garden's sculptures include pieces by David Smith, Alexander Cal.der, and Alice Aycock. If you have a love of the outdoors and an appreciation for the creative arts, be sure to plan your next day trip or vacation near one of these 25 Most Amazing Sculpture Gardens in the World.